When it rains, there's nothing like staying at home and getting a delivery. 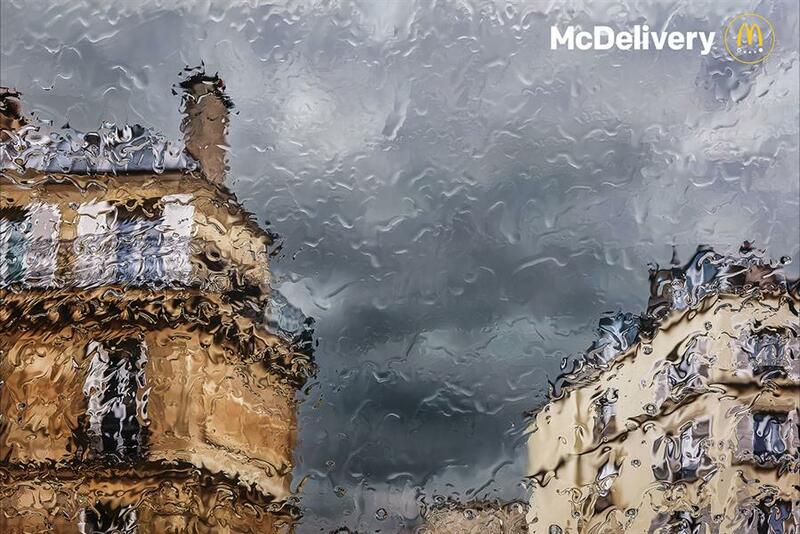 McDonald’s campaign for its McDelivery service plays on this insight with a beautiful series of ads depicting buildings and stormy skies seen through windows soaked in the rain. The images were shot by photographer Roberto Badin, who is known for his work on architecture and still life, as seen in his latest book Inside Japan. The work was written by David Philip and art directed by Olivier Mularski at TBWA\Paris.